The Ministry in which I am involved as a Sister of Charity is, in general terms, Prayer Ministry, and is undertaken under the umbrella of the Catholic Charismatic Renewal. Fr om Tuesday to Friday (generally mornings only) at the Catholic Charismatic Renewal Centre, Rozelle, I am available by appointment to anyone with a particular need; and the needs are as varied as the people. However, one basic need each of us has is to be listened to, which when experienced, has a tremendous capacity for healing. Over time, in an environment of prayer with the guidance of the Holy Spirit, each is helped to discern the root of his/her problem, discover or rediscover the power of forgiveness, with many being drawn into a new or renewed relationship with Jesus. Each year three Saturdays are set aside for general Days of Healing when participants are lead through the meaning of and prayer for Inner Healing and for the Family Tree together with a session on the Healing Power of Forgiveness. These days are generally well-attended and are often followed up with personal ministry. Approximately every two months, also on Saturdays, I travel to East Gosford at the invitation of the parish priest, for one-to-one ministry, restricting it to mornings only. At times, there are also invitations to lead days or weekends of healing in other areas; but as am in a “slowing down” mode, these are responded to according to distance, availability etc. 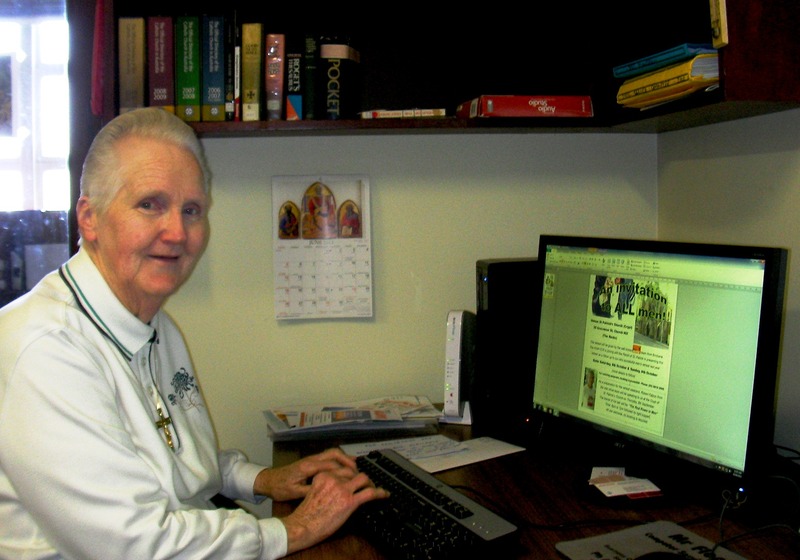 While Sr Patricia O’Loughlin rsc is no longer able to be physically supportive, as she has been over many years, she continues to be very much a valued part of this ministry through her prayer. A further extension of this ministry and to which I dedicate the rest of my time, is editing the newsletter, Voice of the Spirit. Produced quarterly, it is a wonderful vehicle for spreading the Good News far and wide. I thank God for calling me to, gifting me and using me in this ministry as his instrument of healing.